What he was talking about was a diamonds transparency. This, as the name suggests refers to how well the body of the diamond can be seen face up. For many years now, fluorescence has been the source of blame for poor transparency, with many in the trade saying that high intensity fluorescence causes a stone to go milky or hazy. However, this simply isn’t true, as a GIA study in 1997 confirmed, which is now heavily marketed with GIA’s certificates. 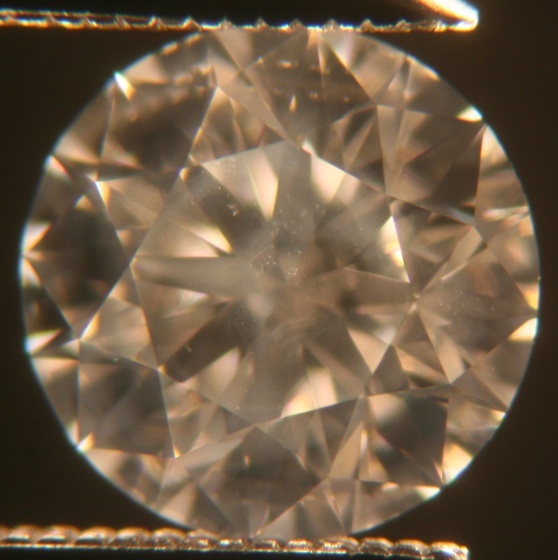 Whilst in the above article, the author mentions the potential for a VS1 to be cloudy, this would be very rare, and more commonly, diamonds of an SI1 clarity or below are prone to suffer from poor transparency. Whilst you can get hints of a diamond’s transparency through comments on the GIA certificate like “Clarity grade based on clouds that are not shown”, there are still a lot other factors that diamond grading certificates do not mention, like optical symmetry and “eye-cleanliness” amongst others. Due to the growing commoditisation of diamonds and information available online, more and more buyers are relying solely on grading certificates to make their purchasing decisions However, the fact is that there is a lot of information left out of diamond grading certificates. In my opinion, grading certificates should only grade the carat weight, colour, clarity and basic cut parameters, such as measurements, table, depth and polish. This would leave parameters, such as light performance, transparency and optical symmetry up to manufacturers, wholesalers and retailers. These three parameters can all be relatively objectively graded, as opposed to colour and clarity, which vary from lab to lab. In addition to this, all of our analysis – microscopic photographs, Ideal-Scope, ASET and cut report all show the optical symmetry, light performance and transparency. By giving this information online, it goes against popular belief that a diamond should be physically viewed before buying. In fact, the article alludes to the fact that a diamond’s “smile” can not be judged in a retail environment with high intensity lights. As a closing note, a positive step has been taken by DCLA (who are also involved in selling diamonds) by grading transparency. However,why don’t they, and all other labs, especially the smaller, more local ones, go further and grade other parameters that make up a diamond’s “smile”? This would add value to a diamond and essentially outsource a job that really should be done by diamond vendors. This entry was written by Nikhil Jogia and was posted on on Wednesday, October 20th, 2010 at 11:26 am	and is filed under Diamonds. You can follow any responses to this entry through the RSS 2.0 feed. You can leave a response, or trackback from your own site.